"This is our first puppy. Where do we start?" I'm so glad you asked! Here at Milky Way, we consider it a privilege to share the knowledge that we have gleaned over the years with our new puppy homes! There is so much that goes into caring for one of these fluffy little bundles of joy. We want to do our best to prepare you and help you feel qualified to give these babies their best home! 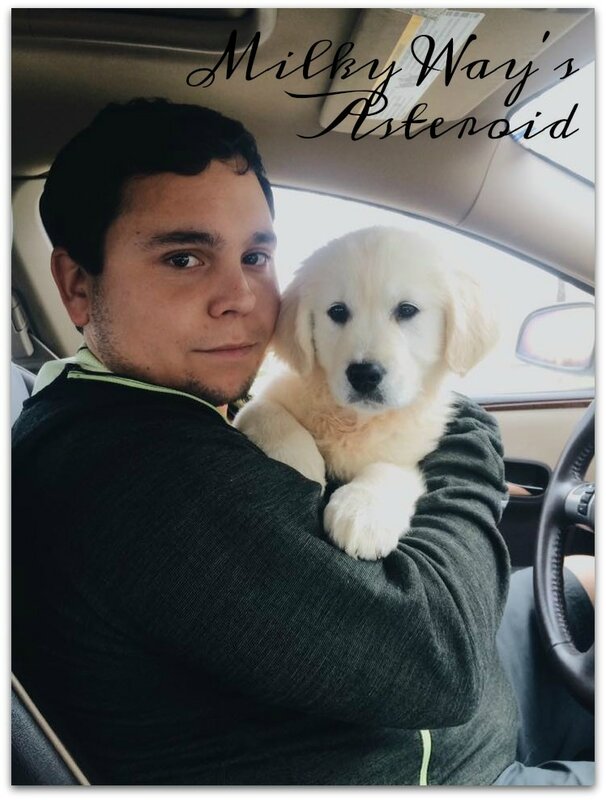 The following links are some of the helpful resources we have found to guide you in the right direction and help you know a little bit more about the decisions we made about choosing our breed, English Golden Retrievers! Welcome to the Golden Retriever Club of America! This site shares the origin of the Golden Retriever breed from the first two dogs to where we are now! A fun read, it will help you see the care put into these dogs, as well as the background into why they came to be! Another article from the Golden Retriever Club of America, this one goes over the early ancestors of the Golden Retriever in more detail. So, what exactly is an English Golden Retriever? This article gives a detailed history on the breed standard, where they originated, and how the cream (or white) coats became standard. What is an English Golden Retriever? This super detailed 19 page article goes through the difference between American and English standards one by one. This is an excellent read! If you want to be your own judge and compare the two standards, here are the direct links to the two breed standards and you can do your own research and comparisons! If this doesn't satisfy your curiosity, feel free to indulge in the following articles, each a treat (yes, pun intended) that will give you more knowledge and understanding for the breed. Tired of wet, sticky messes? Potty training can be difficult and UNPLEASANT. Here are a few articles and videos we have found helpful for getting your puppy to go OUTSIDE the house, not on the rug...or the coffee table...or your favorite jacket somebody else left on the ground. "Can you repeat that please?" Nobody's favorite phrase while trying to talk over your over-excited puppy and that never-ending barking. Good news is this one is not usually as difficult to cure in Goldens! But I have still included some of my favorite links for the occasional yapper. Aside from the tricks in the links, one of the best methods I have found is this Bitter Apple Spray from PetSmart. It can also be used for the chewing habit, so multipurpose away! **We receive no royalties for advertising this product. We are invested into beginning the process of crate training your puppy. It is up to you to keep it going! This will go hand in hand with potty training and barking, however, there are a few articles and videos I've found dedicated to helping your puppy be comfortable in their crate. Raising a happy and healthy puppy is our number one objective! These links contain information on keeping your puppy just that! Several of these will also help explain our decisions to not OFA test and why we wait until a year to spay and neuter our dogs. Hope you find these helpful in your research. This article starts us off with the general health of a Golden Retriever, what some of the common health problems are, and a few ways to avoid them. Cancer is one of the greatest enemies of the modern age and your pet is not unsusceptible. This article is super helpful for understanding the different kinds of cancer. There is an entire section on the differences of rates between the English and American and how the English have lower rates of cancer expectancy. One of the contingencies on our health warranty states you must spay or neuter your Golden after the age of 1 year. Here are a couple articles about why we have made this decision. It also effects why we do not OFA test our Goldens, as one of the biggest factors that causes hip dysplasia is early spaying and neutering. Though this is much less common, it is still good to be aware of Ichthyosis, a genetic disorder. It may seem silly to some, but we do not feed our puppies puppy food. Why? The risks of cancer, hip dysplasia, and obesity are increased dynamically by the protein overloaded puppy food most brands consider healthy. And for low-risk puppies, it's not bad. But with the potential for these risks in Goldens, we have found it's best to steer clear. Find an article during your own research you think should be here? Let us know! Send us an email at milkywayenglishretrievers@gmail.com. We are in no way sponsored, affiliated, or compensated by the above articles, videos, and products.